Japan has several good ski areas, but the best skiing is found on the northern island of Hokkaido. It can be extremely cold during the winter, when cold winds from Siberia blast in over the island, bringing with it heaps of snow. 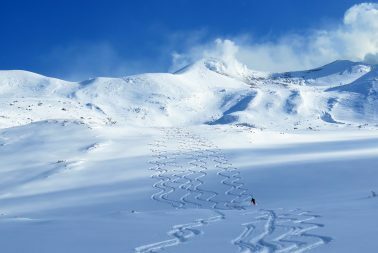 The trip begins with a few days of skiing in and around the ski resort Niseko, a well-known town, at least among Japanese, and a good starting point for off-piste skiing and ski touring. Huge amounts of nice, dry snow fall here, and the snow depth in January/February is often around 3-5 metres. It snows approximately 15 metres per season and the town gets more snow than, for example, Whistler in Canada. 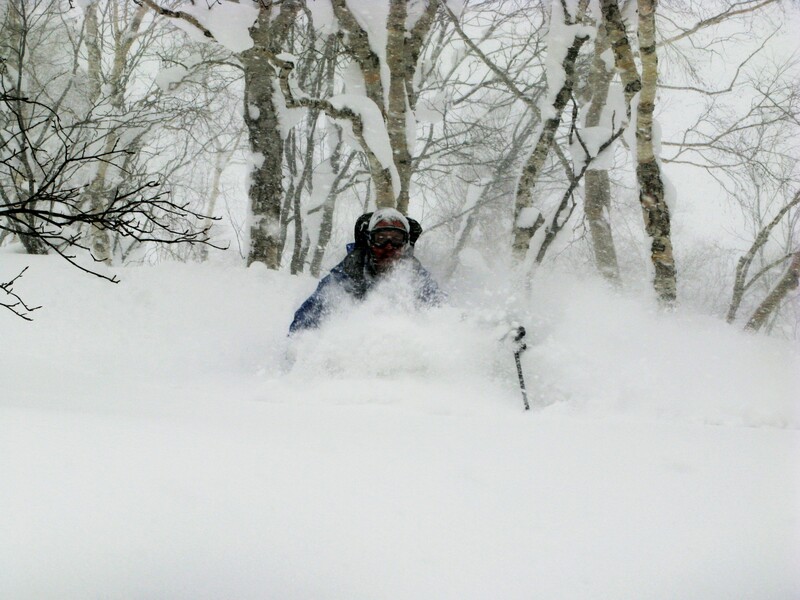 The snow quality is world-class and renowned among powder enthusiasts. 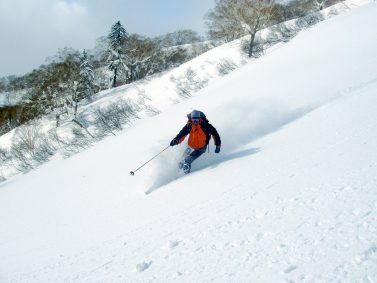 The ski area itself is actually comprised of five resorts, of which the three biggest are Hirafu, Higashiyama and Niseko Annupuri. 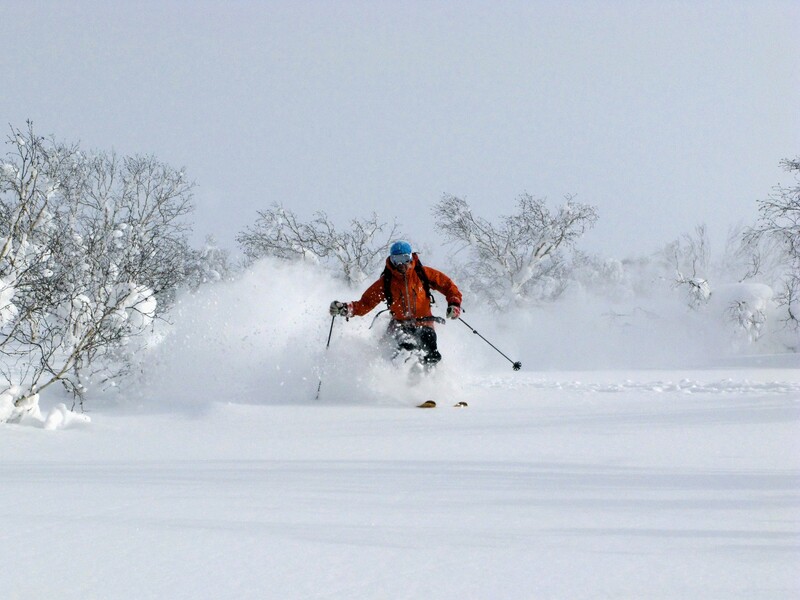 The Niseko region is about 2.5 hours from Sapporo airport on Hokkaido’s southwestern corner. The ski area itself is actually comprised of five resorts, of which the three biggest are Hirafu, Higashiyama and Niseko Annupuri. All three are located close to each other and linked together directly under the peak of Annupuri Mountain. This means that you can reach large areas from 38 lifts and find several runs with over 1,000 metres of vertical drop. But with climbing skins under your skis, the mountain opens up even more. Here, there are more than 30 km2 of off-piste skiing with nice bowls, gullies, and fascinatingly beautiful glade skiing. During the days at Niseko, you will also attempt to climb the majestic volcanic peak Mount Yōtei, weather permitting. The peak is at 1,898 metres, which perhaps doesn’t sound that impressive. However, the surrounding landscape lies only between 200 and 300 m.a.s.l. and the mountain itself is a real challenge because you have to climb 1,600 vertical metres in bottomless powder to reach the cone-shaped peak. You can enjoy the après-ski in the hot springs and taste the local beer while you’re at it. After a couple days in the Niseko area, we travel onwards to the mountain surrounding the town of Furano. 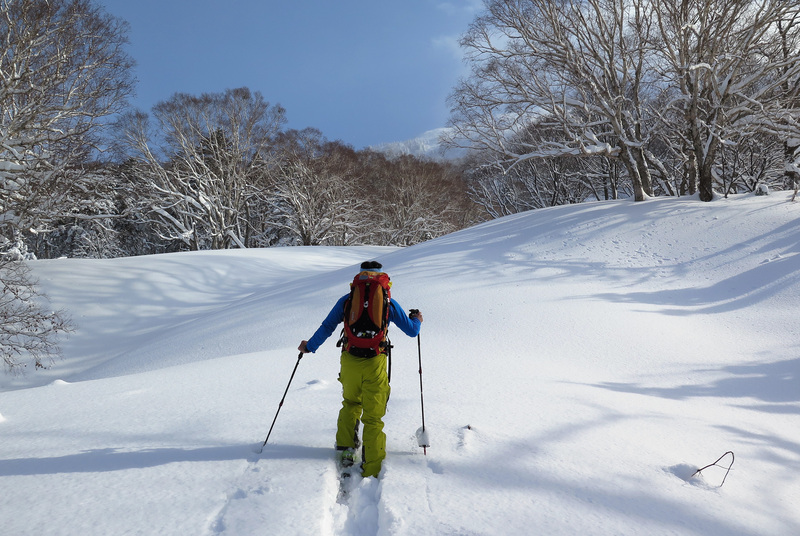 Here, you will find the biggest massifs on Hokkaido and the area lies in the impressive Daisetsu-Zan National Park. 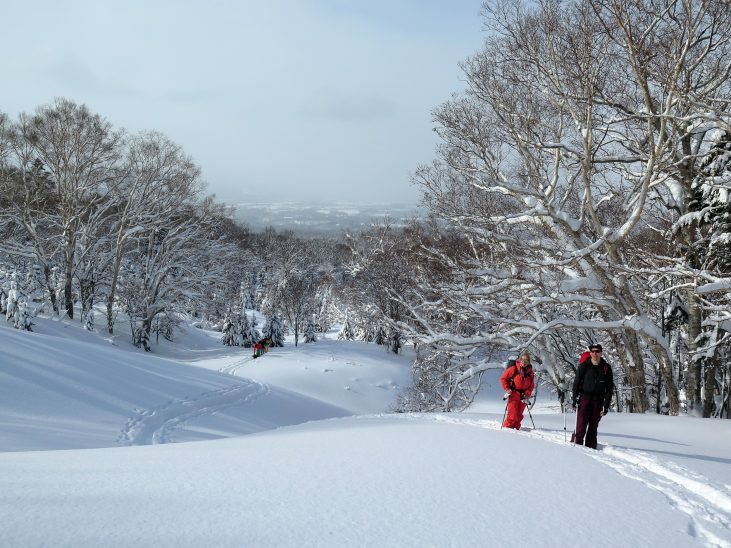 The park itself is located right in the middle of Hokkaido and the snow is usually very dry. The landscape is incredibly stunning and the tours will take your breath away, in more than one way. We stay in Japanese mountain huts in both Niseko and Furano and help ourselves to Japanese delicacies. The mountain huts are clean and tastefully decorated, and the service is very good. We promise good food and that sushi won’t be the only thing on the menu. You can enjoy the après-ski in the hot springs and taste the local beer while you’re at it. During your stay in Japan, you will also encounter the special culture on Hokkaido and take home a true travel experience. The trip is led by mountain guide Stefan Palm, one of Sweden’s most experienced mountain guides, with the whole world as his office. Stefan gladly returns to the Japanese mountains and its magnificent snow. We hope that you’ll come along! 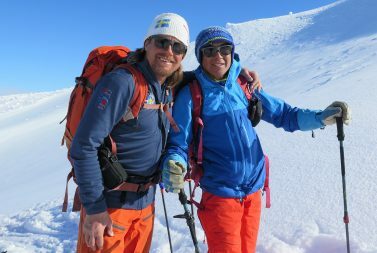 Swedish UIAGM certified mountain guide. All overnights, hotel and accommodation. Entrance to hot springs and sake manufacturer. The trip is sold excluding airfare, but we can help you with bookings if you wish. Do you have questions regarding this trip? Do you want to send us a notification of interest or make a booking? Contact us on +46 31-707 00 80 or or send an email to info@pathfindertravels.se. After a long flight, we meet in Sapporo and travel by bus to Niseko Resort. 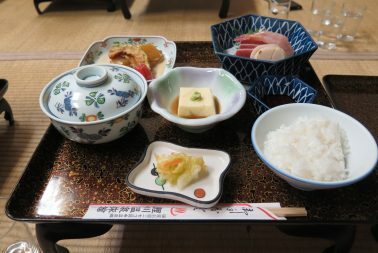 After getting settled into a great Japanese mountain hut, we eat a nice welcome dinner. Before it’s time for bed, Stefan goes through the upcoming days in more detail. We begin the first day with a run-through of our safety equipment and get the group together with some skiing. 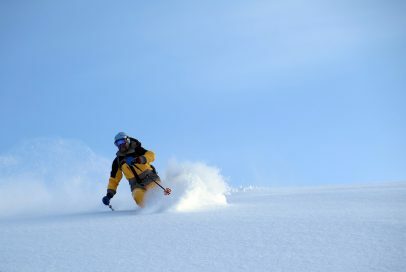 Several days of amazing off-piste skiing and ski touring in the area follow. If the weather is good we will attempt to ski up and down Mount Yōtei. We leave for the mountain hut Hakunginso in the Furano region. On the way, we stop and visit Hokkaido’s oldest and largest sake manufacturer. 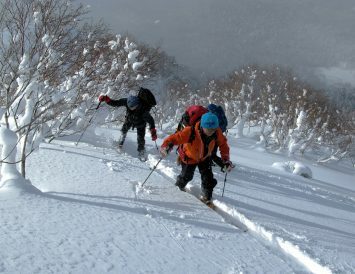 Ski touring and off-piste skiing around Mount Asahidake, the highest peak in Hokkaido (2,290 m). We travel back to Sapporo on the evening of day 9, a journey of about 3 hours. We have accommodations at a good hotel and end the trip with a festive dinner at one of Sapporo’s best restaurants. We leave for the airport and fly home. During this trip, we will ascend the mountain mostly on our own power. This means that you have to have ski touring or other suitable alpine experience. All participants are responsible for their own equipment. Please contact us if you are missing any safety equipment and we will try and find a solution. 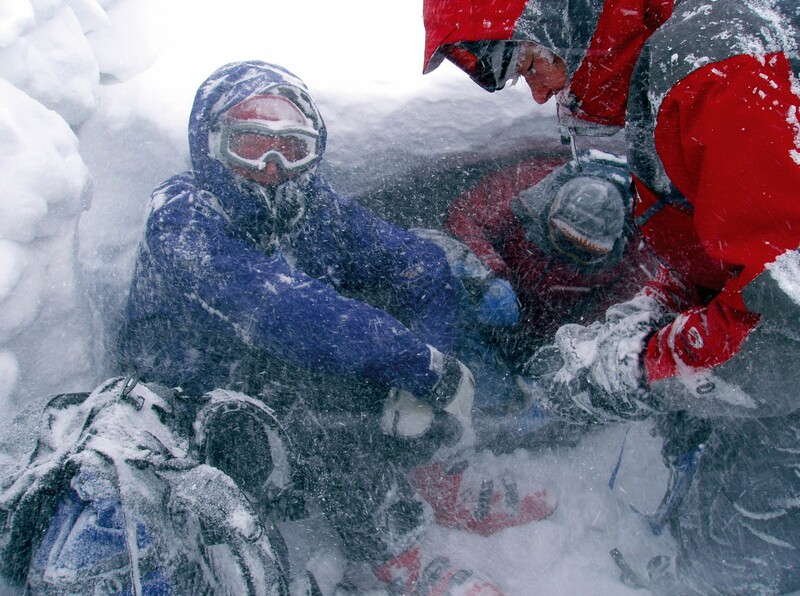 Mandatory personal equipment are avalanche beacon, avalanche probe and shovel. We welcome both telemark skiers and those who ski with alpine touring equipment. 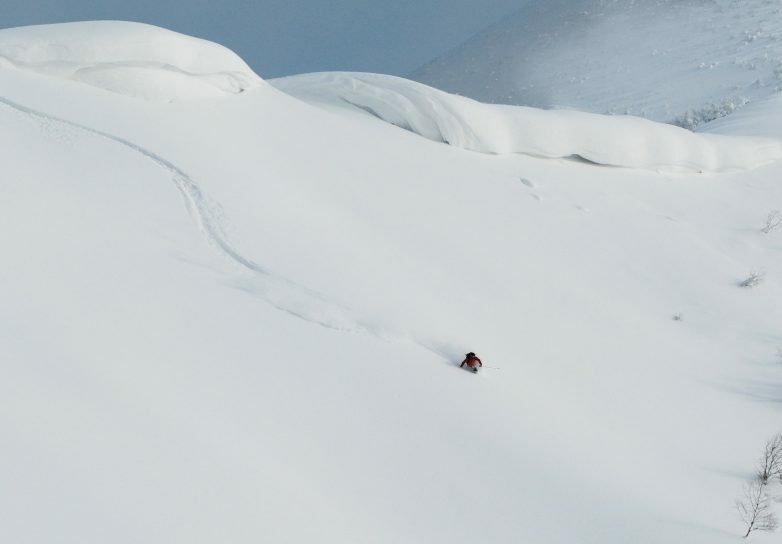 Snowboarders must have splitboards, since the snow is usually so deep and bottomless that snowshoes can be a problem. Please forward all questions about equipment to Stefan Palm. We stay in nice mountain huts with a high standard, despite their simplicity. The hotel in Sapporo is good. The currency in Japan is the Yen. Bring cash, travellers’ cheques in US dollars or a credit card (VISA) if you choose to exchange money. The exchange rate is not very good if you bring Swedish Krona. Traveller’s cheques in Yen or US dollars are accepted at banks and large hotels. Credit cards are not accepted everywhere. Therefore, it’s a good idea to bring exchanged cash and have your credit card as back up. No vaccinations apart from the basic protection are needed and hygienic and health standards in Japan are high. Over years of trekking and dirt road MTB tours in Morocco we have seen many wonderful mule paths that we really wanted to ride on our trail bikes. Now we have settled the matter and created a centre-based singletrack program near Marrakech. Adrenaline, great beauty and a voyage of cultural discovery are waiting for you in the Atlas Mountains. The South Indian region of Kerala is host to some of the world’s finest singletrack, and this tour features endless fast flowing trails, challenging technical sections, epic descents and challenging climbs. Through lush greenery, evergreen paddy fields and tea plantations, this MTB experience blends unforgettable sights, sounds and cultural experiences.